Will Najib explain why he betrayed Umno, BN and Malaysia? 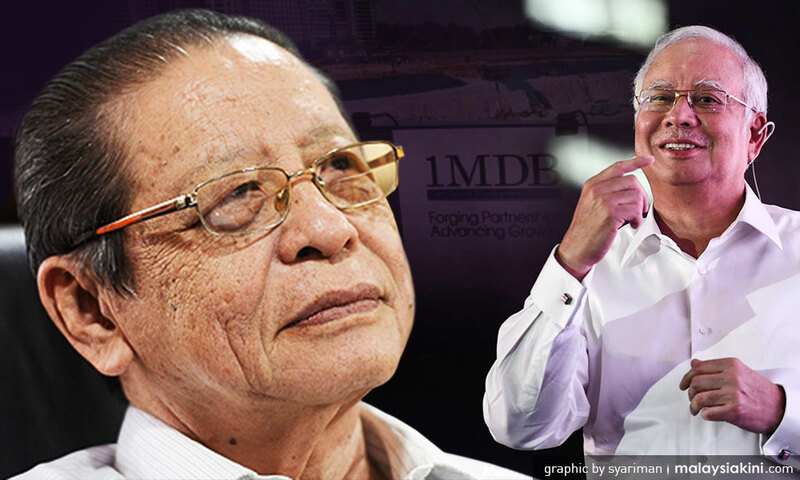 Greg said the then prime minister Najib Abdul Razak had broken “a cardinal rule in politics” in inadvertently admitting “guilt” when the MACC cleared him of any wrongdoing in accepting the infamous RM2.6 billion “political donation”. He said Najib’s position was no longer tenable as Malaysians questioned his sincerity and trustworthiness. 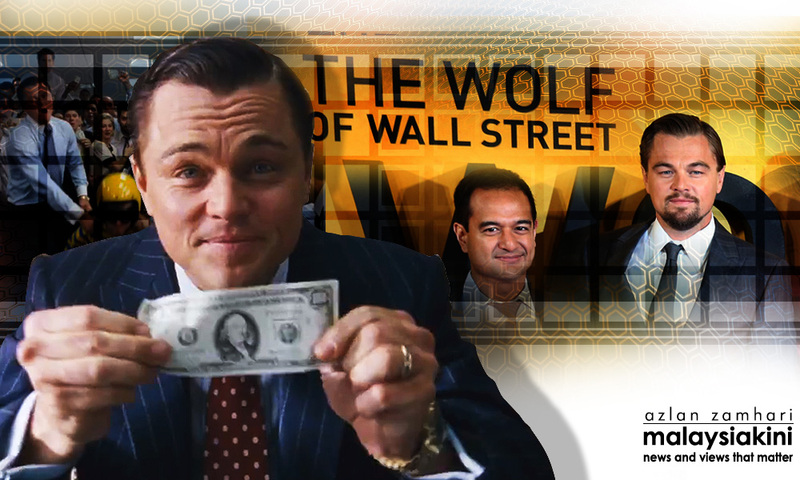 Najib labelled the report as political sabotage and threatened to sue the Wall Street Journal the following week which he did not do for more than three years. The website Sarawak Report was blocked by the government and an arrest warrant was issued for its founder and editor, Clare Rewcastle-Brown while the Edge Financial Daily and the Edge Weekly were suspended for a period of three months, then deputy prime minister Muhyiddin Yassin and the attorney-general Gani Patail were sacked summarily and the Public Accounts Committee “neutralised”. Lopez wrote: “After pulling off such a brazen act with a high degree of skill, the prime minister blinked. “On August 3, 2015, the MACC announced that the US$700 million channelled into Najib’s personal bank account came from donors. 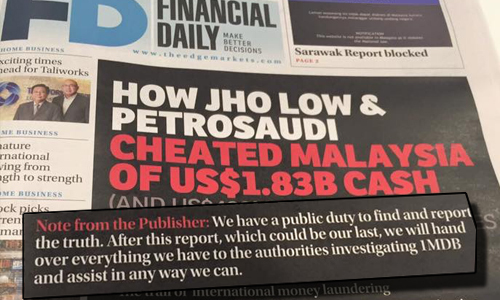 In doing this, Najib inadvertently confirmed the Wall Street Journal’s report and opened Pandora’s box. “This admission of ‘guilt’ has taken the toxicity of the prime minister to an all-time high. But even more damaging than the legal implications of the matter (i.e. was it corrupt for Najib to solicit donations on behalf of Umno; is it certain that the donations were for Umno; who donated; what were the donations for; were the donations used at the 2013 general elections; did the donation break Malaysian laws; etc) is the question of trust and legitimacy. As events proved, the “dead man” could walk for almost three years and nearly continued walking for more years, as no one, including Najib himself, had expected Umno and BN to be defeated in the 14th general election which was held on the most uneven electoral playing field in the nation’s history in favour of Umno/BN. In fact, Najib was expecting a great victory and even winning back the parliamentary two-thirds majority which Umno/BN lost ten years ago in the GE12 in 2008. I had not expected Pakatan Harapan to win the 14GE and form the federal government on May 9, 2018, and Dr Mahathir Mohamad had told me that he had not expected it either. The “dead man”, however, is still walking. He has said he has no intention to return as prime minister or the president of Umno and BN, saying he is being vocal to fulfil his duties as an elected representative. He said on his Facebook: “My wish is only to give my views and ideas to strengthen Umno, improve the well-being of the people and the economy. I can contribute to these goals, especially in the face of lies and misinformation. For a start, let Najib explain in Parliament in the 2019 budget debate next week why he betrayed Umno, BN and Malaysia when he did nothing for over three years to purge Malaysia of the infamy of a global kleptocracy as a result of the 1MDB scandal despite US attorney-general’s condemnation of “kleptocracy at its worst”? Secondly, let him tell Malaysians what has happened to the US$23.7 million 22-carat pink diamond necklace which Jho Low had paid as a gift for his wife Rosmah Mansor as well as the two subjects which he had lied in his aborted interview with Al Jazeera – the RM2.6 billion donation in his personal banking account and his stepson Riza Aziz’s film production company Red Granite Pictures and its films like "The Wolf of Wall Street".